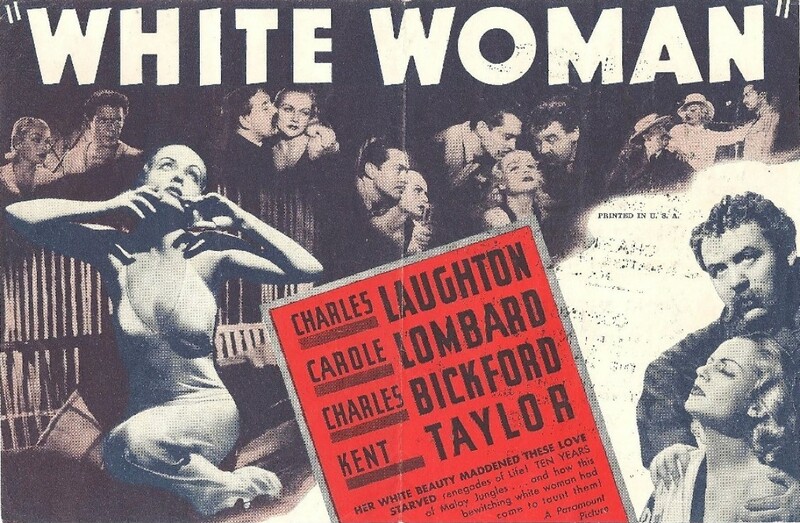 October 9th, 2018 - Carole & Co.
Carole Lombard's films, such as "White Woman," were among the many movies that used heralds -- small two-sided printouts -- to promote the releases. 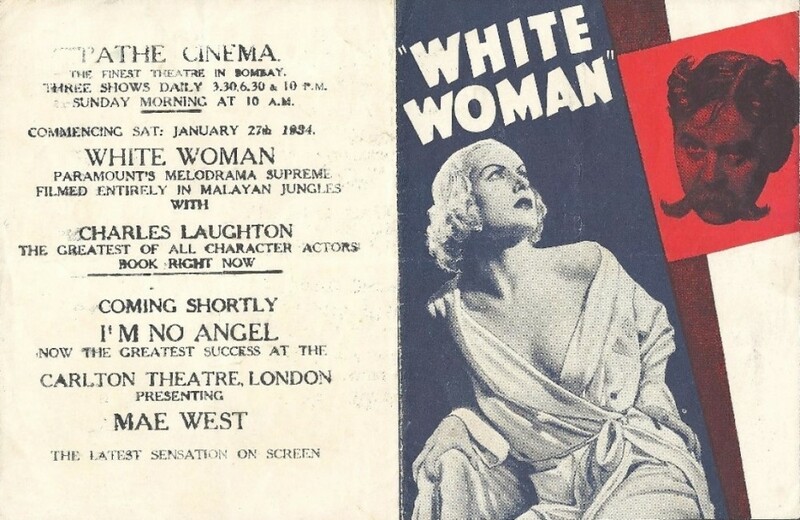 They were used in other languages, too, as the following three Spanish-language heralds, all from films released in 1934 (two years before Spain's Civil War), make evident. It measures 3.5" x 5.3" on card stock similar to a postcard. It's said to be in very fine condition, though the print on the rear slightly permeates the front. The herald is offered for $259.99. 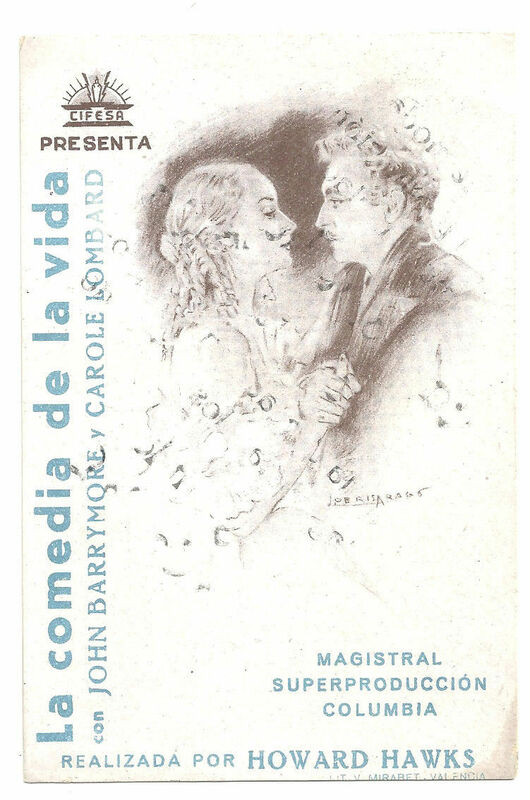 You can bid or learn more at https://www.ebay.com/itm/PTEB-013-20TH-CENTURY-CAROLE-LOMBARD-JOHN-BARRYMORE-SPANISH-HERALD-MINI-POSTER/153212708258?hash=item23ac3065a2. But there's little disappointing about this 5.5" x 3.5" herald. It's in very fine to near mint condition, although it's slightly yellowed. This one's slightly cheaper, going for $236.99. 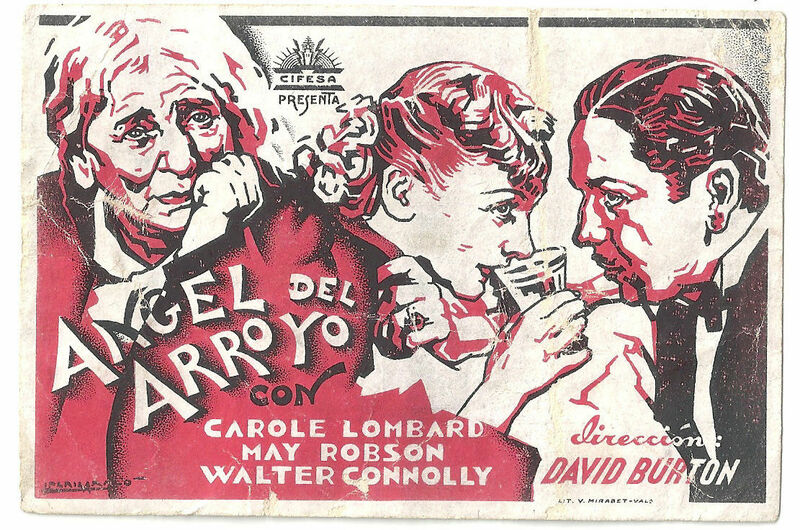 Check it out at https://www.ebay.com/itm/PTEB-009-THE-GAY-BRIDE-CAROLE-LOMBARD-MGM-SPANISH-HERALD-MINI-POSTER-A/153212708257?hash=item23ac3065a1:g:wgYAAOSwc1Zbr-rU:rk:11:pf:0. Unlike the other two, it has no print on the back, though it measures 3.5" x 5.3". Its condition is fine to very fine. It's the cheapest of the three, going for $144.99. Interested? 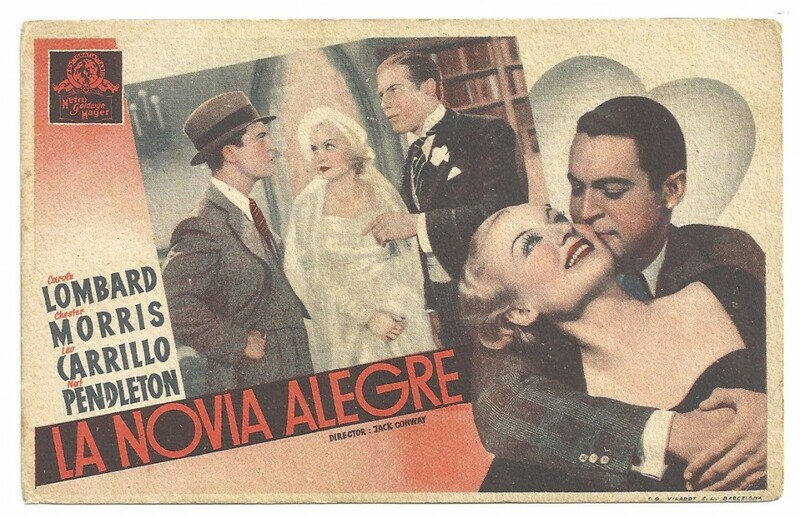 Learn more at https://www.ebay.com/itm/PTEB-013-LADY-BY-CHOICE-CAROLE-LOMBARD-MAY-ROBSON-SPANISH-HERALD-MINI-POSTER/401614519639?hash=item5d82173d57:g:-soAAOSwpblbr-oe:rk:9:pf:0.